As year’s go, 2015 has been pretty big. I published my first cookbook. Luke quit his job to pursue the career of his dreams. And we’ve made nine tenths of a human being, the littlest addition to the loaf family due to arrive at the beginning of February 2016. It’s also been an amazing year of eating. There were trips to Paris, St. Lucia and Tuscany which, as our holidays always do, revolved almost entirely around food; we’ve celebrated birthdays and anniversaries at some incredible restaurants; and of course we’ve eaten all sorts of deliciousness from the comfort of our own home (see this list of the cookbooks I’ve been loving in 2015). A fair few new favourites have also made their way onto the blog, so as 2015 draws to a close, here are the ten most viewed recipes by you, my readers. I’ve already got a bunch of ideas up my apron sleeve for 2016, but if there’s anything specific you’d like to see in this space, please do let me know in the comments below! 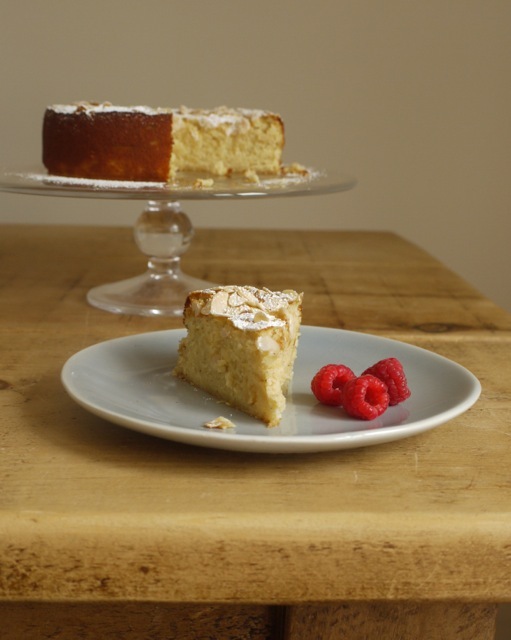 I’ve stopped counting the number of readers who have made this Flourless Lemon Almond & Ricotta Cake and sent me photos of their version – this is a staple cake in the Little Loaf household and it seems you loved it as much as I do! 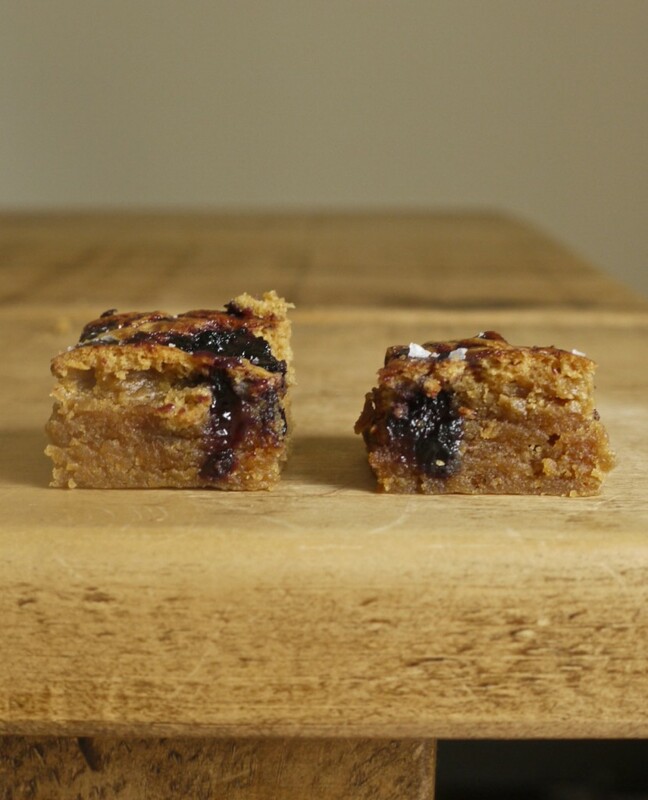 There are a lot of brownie recipes on this blog so it’s nice to see these Peanut Butter & Blueberry Jam Blondies make an appearance in the top ten. Sweet, salty and squidgy, they’re delicious served warm with a scoop of cold ice cream. 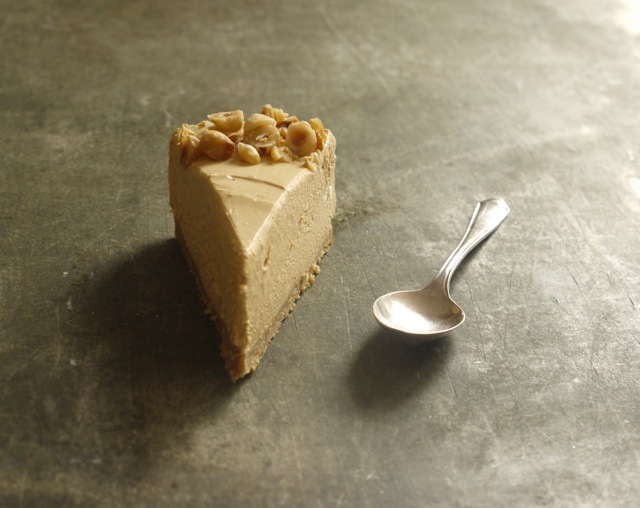 This no-bake Caramel Hazelnut Cheesecake is a fuss-free dinner party dessert option with a nutty sweetness and creamy crunch. 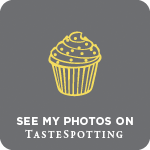 The vintage spoon and slate background in this photo also remind me I need to invest in a few photography props in 2016 – they just make all the difference to pictures. 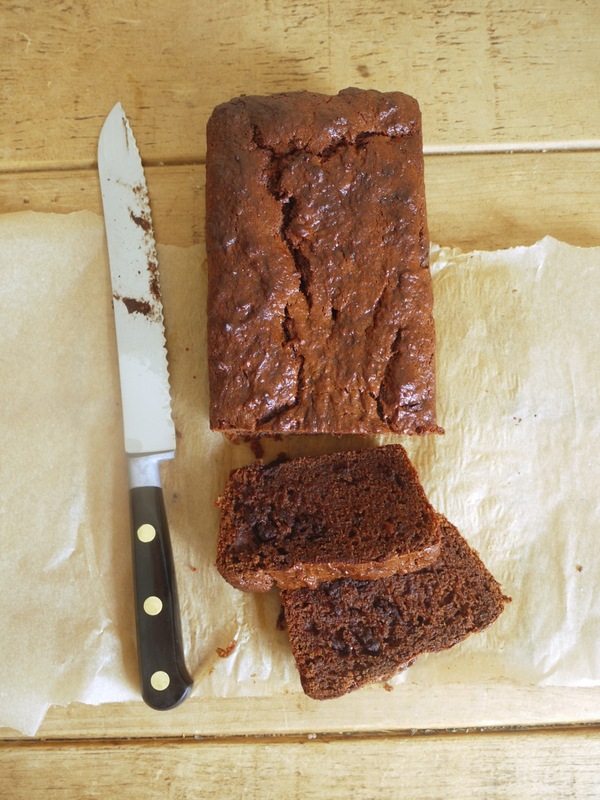 Warning, this Chocolate Apricot Loaf Cake is utterly addictive. I’ve only made it once since I posted it on the blog as I’m powerless to its charms and likely to consume three or four slices in one sitting. Think chocolate cake crossed with homemade malt loaf, but even more delicious. 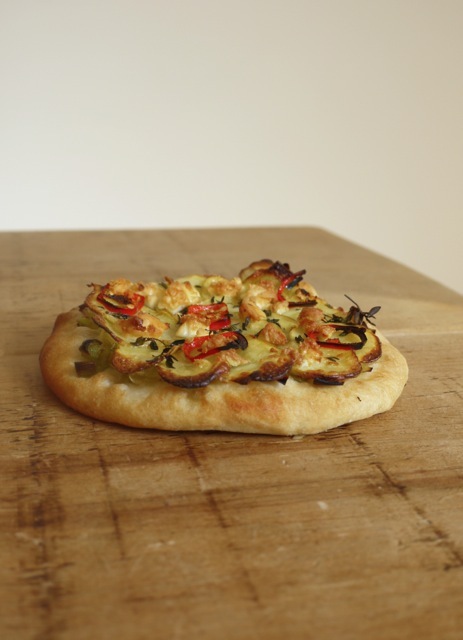 These Leek and Potato Pizzette were particularly popular: perhaps because we all love double carbs, perhaps because they announced the impending arrival of an even littler loaf. Thank you again for all your love and well wishes, we’re so excited to meet our little man in 2016. I celebrated The Little Loaf’s fourth birthday (where has the time gone?!) with Chocolate Coconut Cupcakes. 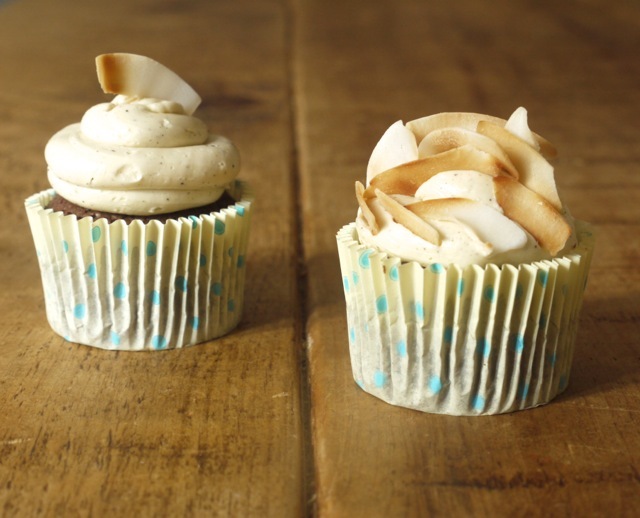 Made with coconut milk, coconut oil and a satin smooth coconut Swiss meringue buttercream, they’re moist and chocolaty and everything a cupcake should be. 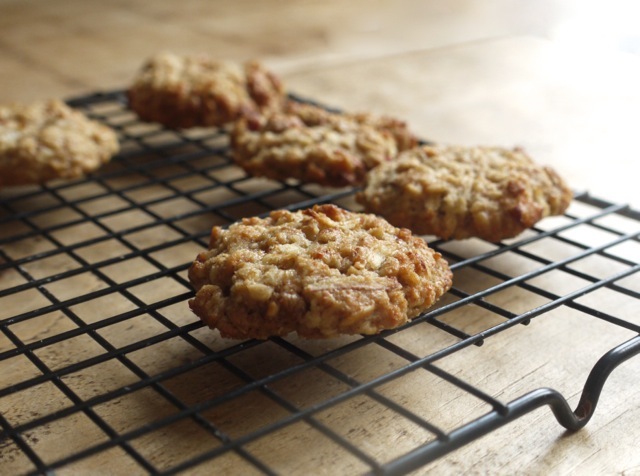 Healthy, everyday recipes seem to be what people want more and more of, as proven by the popularity of these Apple, Maple & Walnut Cookies. We eat a lot of wholesome stuff in between the chocolate, butter and sugar round here, so I’m planning to include a few more virtuous treats on the blog in 2016. To undermine everything I’ve said in the paragraph above, Claire Ptak’s Rye Chocolate Brownies come in at number eight of your top ten, complete with 400g sugar and 300g of chocolate. 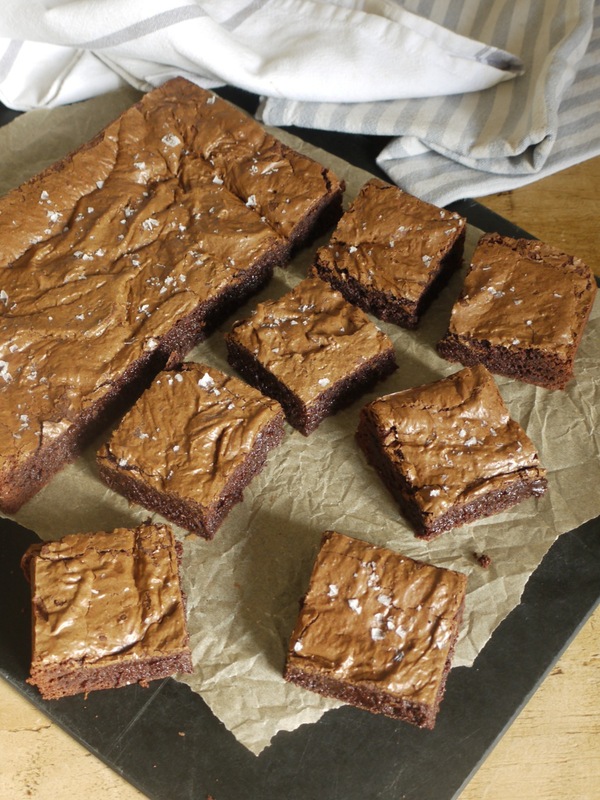 But no apologies here – these are hands down the most delicious brownies I’ve ever eaten and likely to grace many a celebration table round here for years to come. I posted the recipe for this Candied Blood Orange & Cardamom Ice Cream inspired by Skye Gyngell’s restaurant Spring right at the end of the season, so if you didn’t get a chance to make it earlier this year, I’d highly recommend saving a batch of blushing blood oranges once January rolls round. 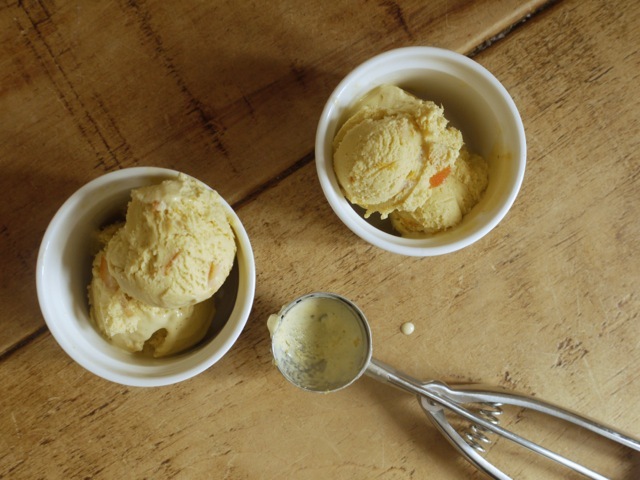 Sweetly spiced with melting slices of candied peel, it’s the perfect way to introduce ice cream to your winter table. 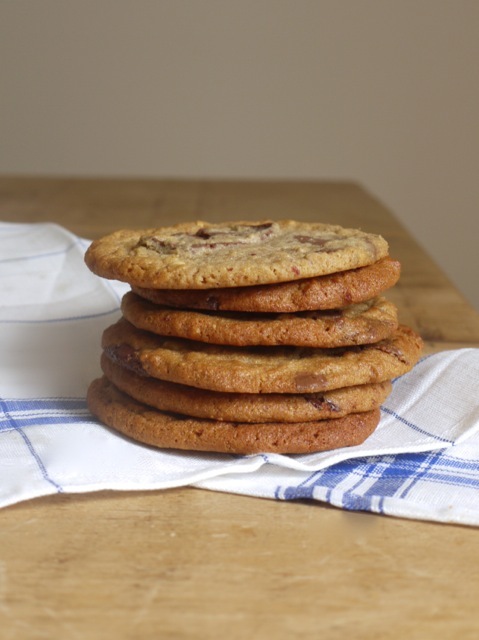 Last but not least, these Wholemeal Peanut Butter Chocolate Chunk Cookies are crisp at the edge and chewy in the middle. Dunk them in your coffee, sandwich around ice cream or eat them warm and still soft from the tray, chocolate dribbling down your chin. You’ve got forty eight hours until the green juice cleanse Insta-posts start rolling in so I’d advise you make the most of it. Thank you so much for this list …. 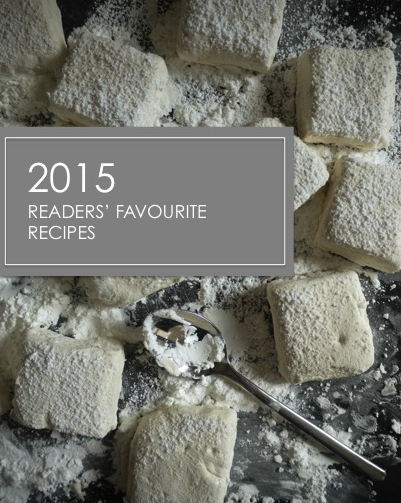 So many are now on my list of things to bake in 2016! Happy New Year! Sounds like such an exciting year you had!! Seems like you have an even more exciting 2016!! Congratulations on all you’ve accomplished and all you have planned! I can’t wait to see your posts! What a year you’ve had!! And what exciting times you have ahead 😀 Congratulations on a great year, and your chocolate apricot loaf is on my must bake list!